I went to my orthodontist's office almost six weeks to the day of my initial Invisalign consultation. The dental assistant gave me my first three Invisalign clear aligners sets, which would cover the initial six weeks. She explained how to take care of them. I also practiced taking them on and off. It was a challenge at first as I’m a nail biter and didn’t have any nails to pull my aligners off with. Confident I could take the Invisalign clear aligners on and off easily after practicing, I left the office. That’s when the first – and biggest – Invisalign challenge began. You see, I had a headache and my teeth hurt for the first four days. Ibuprofen helped as did a glass of wine in the evenings. Yet, I was pleasantly surprised how easy it was to sleep with my Invisalign clear aligners in. In fact, those first few days I felt best when I was sleeping and looked forward to turning in each night. After the first week, the discomfort and “weirdness” wore off and wearing my Invisalign clear aligners was a breeze. Then it was just a matter of getting into a good routine to make sure that I wore them as much as possible – 20 to 22 hours a day is optimal with Invisalign aligners. You’re given two cases for your Invisalign clear aligners. Keep one in your purse or backpack and the other in the kitchen. (By the sink is best). You may also want to get a little dish or bowl to put next to your toothbrush, too. Your close friends and family won’t mind you popping out your Invisalign clear aligners (or snapping them back in) at the dinner table or even when you’re out to eat. However, if you’re with people who are more acquaintances than friends, take your Invisalign orthodontics off in the bathroom or at least try to be a discreet as possible. Keep a sports bottle filled with cool water with you at all times. Sometimes I have dry mouth from the aligners. I especially get this at night, so having a water bottle on my night stand is essential. 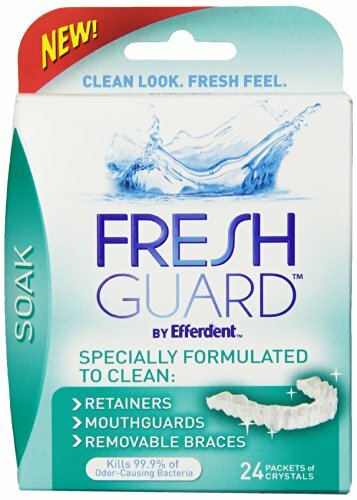 Fresh Guard Soak, which is a specially formulated cleaner for retainers, mouth guards, and removable braces, is the best stuff I’ve found to clean Invisalign aligners. You don’t want to scrub your Invisalign clear aligners with a toothbrush and toothpaste. That’s because you’ll put micro-scratches in your aligners, and this will encourage bacteria to grow inside the abrasions. Fresh Guard Soak is amazing because it removes all the calcium deposits from your salvia and leaves the aligners looking, feeling, and tasting fresh and brand new. I had a follow up appointment with my Invisalign orthodontist during week seven. That’s when the dental assistant applied little “bumps” to several of my teeth. These fit into little “holes” in the aligners to position and straighten my teeth more accurately. Getting the bumps applied wasn’t a big deal. It took 40 minutes and the process was a bit yucky tasting at worst. The bumps feel a bit weird since I now have rough little pebble like things on my teeth. Still, it’s amazing that almost no one can tell that they’re there. In fact, above is a picture of me a couple of weeks ago at a blogger event. You can kind of see the little bumps if you look closely. (I had taken my Invisalign aligners out since I was eating.) But you probably wouldn’t have noticed them without me mentioning it. 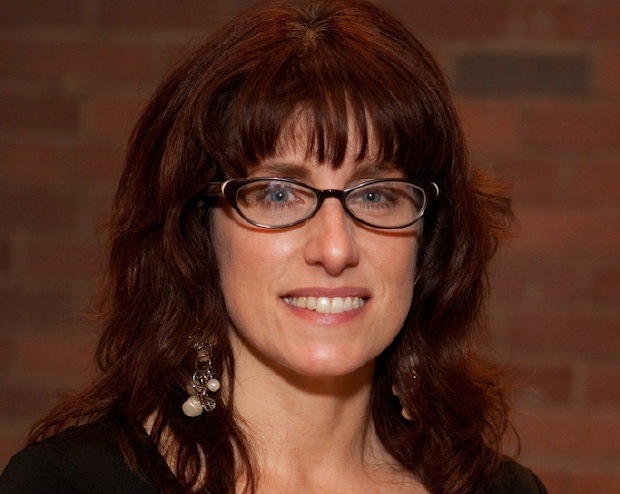 Questions about Invisalign orthodontics treatment? 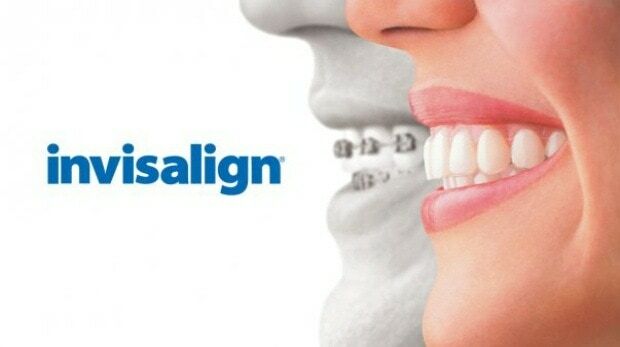 Are you wondering, “Can I get Invisalign?” You can learn more about Invisalign orthodontics at www.Invisalign.com. Or ask Invisalign your questions on Twitter or their Facebook page. Disclosure: I’m a member of the Invisalign Teen Mom Advisory Board. I’m receiving complimentary treatment from Invisalign, but all opinions and experiences expressed are my own. Posted in Products and Equipment and tagged dental health on October 29, 2011 by Anne-Marie Nichols.